During this webinar, you’ll learn the key common elements of marketable movie ideas. 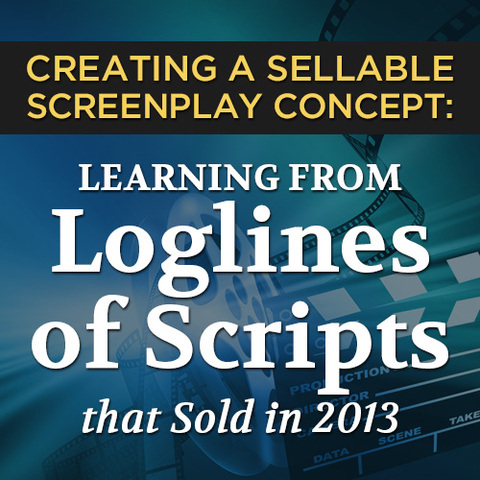 Learn how those elements apply, across genres, in the loglines of recently sold scripts. Get the keys to crafting a winning concept and logline from multiple Emmy-winning writer-producer Erik Bork. Most working screenwriters understand that it’s the underlying premise of a screenplay that most determines its potential in the marketplace – and that the best premises can be expressed succinctly in a brief “logline” that sums up its unique and compelling hook. But finding such a concept – and even understanding what makes a movie premise “sellable” – proves elusive for most writers, making it hard for their scripts and careers to move forward. Years can be spent writing treatments and script drafts based on underlying premises that an agent, producer or studio executive would see as fundamentally flawed on a concept level. 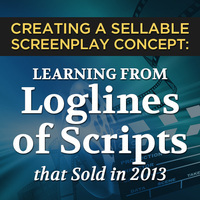 In this webinar, we will look at select loglines for screenplays that sold in 2013, in a variety of genres, to see what they have in common. We will discuss how each successfully presents a relatable main character with a compelling high-stakes problem, difficult and complicated goal, and entertaining-sounding mission to try to achieve that goal – all working within an established genre, but with some unique and original spin on that genre. We’ll look at how the tools in the SAVE THE CAT books can help writers understand and work with the key criteria that spec scripts (and their underlying concepts) are held to – and break down what each of these criteria are, with multiple examples. Attendees will then have the opportunity to ask questions and present loglines for the instructor to critique, in light of these criteria. Instructor Erik Bork is a multiple Emmy- and Golden Globe-winning screenwriter best known for his work on HBO’s Band of Brothers, whose work as a private consultant and teacher has exposed him to hundreds of screenplays – where he has observed both the most common pitfalls, and discovered the most useful tools that help writers to move forward in their craft. How the key work is not on the logline, but on the story idea the logline expresses. Which genres are traditionally most sellable, and why. Why a spec script concept has to be “hookier” than a pitch from an established writer. What “high concept” means – and how to use it to your advantage. The huge importance of “stakes” in a movie idea – and how stakes differ across genres. How to think like a marketer – in terms of the poster, the trailer, and the ad campaign. What loglines should and shouldn’t contain, and what their real purpose is. How the SAVE THE CAT “genres” are an indispensible tool for developing movie ideas. What motivates audiences to pay to see a movie – which is what script buyers focus on. How to give the idea generation process its due, to avoid the #1 screenwriting mistake. Writers who get praise for their writing, but have trouble selling their scripts. Writers who want to be pragmatic and serious about creating marketable material. Writers who struggle to understand what makes one idea sell, and another not sell. Writers trying to understand what “they” are really looking for, and how “they” think. Writers who want to be efficient and high-leverage in how they use their creative time. Writers who are frustrated with the pace at which their careers are moving forward. Producers, directors and executives looking to improve their development process.